Keywords: planning, human capital, planning strategies, independent learning. The article deals with the problems of planning the human capital development of the enterprise, proved its necessity in modern economic conditions. The basic stages of planning of human capital development and their filling are determined. The contemporary tendencies of the growth of the role of each employee for the enterprise are considered and the directions for taking into account such tendencies in business are identified. The modern feedback system in the management of human capital "360 degrees" is analyzed, as well as the newest strategy of independent education. Strategies of planning of human capital development of the enterprise are revealed, the basic steps on their implementation are substantiated. 1. Nadler, Leonard. Developing Human Resources: Learning Concepts / Leonard Nadler. – Austin, Texas. – 1970. 2. Allen M. The Corporate University Handbook: Designing, Managing and Growing a Successful Program / Mark Allen. – New York: AMACOM, 2002. – 256 р. 3. Blass E. The Rise and Rise of the Corporate University / E. Blass // Journal of European Industrial Training. – 2005. – Vol. 29. – P. 58–74. 4. Grayson J. American management at the threshold of the XXI century / Grayson J., O'Dell Carla. – Moscow: Economics, 1991. – 196 р. 7. Кісь С. Я. Забезпечення розвитку персоналу нафтогазових підприємств шляхом організаційних інновацій в освітній сфері / С. Я. Кісь, Г. Р. Кісь, А. П. Андибур // Теорія і практика стратегічного управління розвитком галузевих і регіональних суспільних систем (Івано-Франківськ, 11-13 жовтня 2017 року): Матеріали VI Міжнародної науково-практичної конференції. – Івано-Франківськ, 2017. – С. 87-91. 10. Nadler, Leonard. Developing Human Resources: Concepts and a Model (Jossey Bass Bus iness & Management Series) / Leonard Nadler, Zeace Nadler. - Published by Jossey-Bass. – 1989. 11. Human Resources and Their Development. Encyclopedia of Life Support Systems / Edited by : Michael J. Marquardt. – Volume I. – EOLSS Publications, 2009. – 384 p.
12. Tough, Allen. The Adult’s Learning Projects / A. Tough. – Toronto: Ontario. – Institute for Studies in Education. – 1979. 13. Zuboff, S. In the Age of the Smart Machine: The Future of Work and Power / S. Zuboff. – New York: Basic Books. – 1988. 14. Bryson, John. Strategic planning for profit and non-profit organisations. A guide to strengthening and sustaining organizational achievement / John Bryson. – San Francisco: Jossey-Bass. – 1995. 15. Scenario Planning, Guidance Note. Foresight Horizon Scanning Centre, Government Office for Science, UK [електронний ресурс]. – Режим доступу: http://www.bis.gov.uk/assets/foresight/docs/horizon-scanning-centre/foresight_scenario_planning.pdf 16. Кісь, С. Я. Наукові основи інтелектуалізації діяльності підприємств : автореф. дис. на здобуття наук. ступеня д-ра екон. Наук : спец. 08.00.04 "Економіка та управління підприємствами (за видами економічної діяльності)" / С. Я. Кісь ; Івано-Франків. нац. техн. 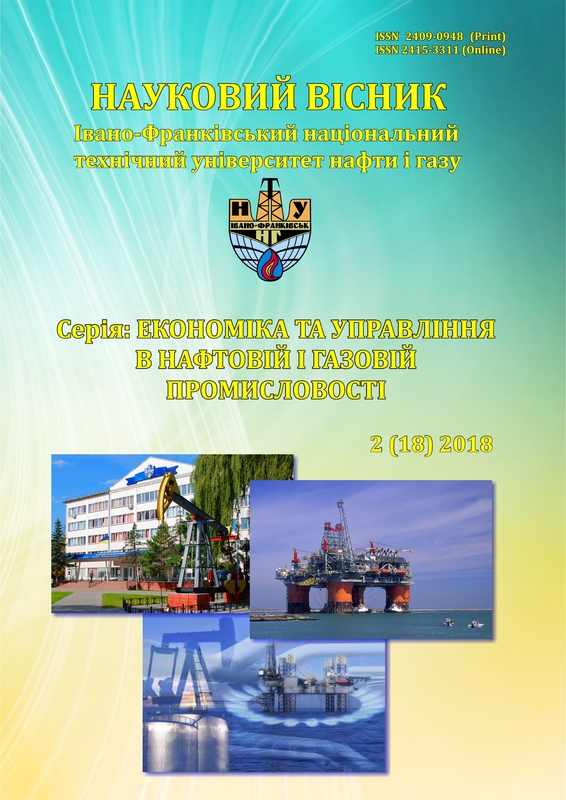 ун-т нафти і газу. – Івано-Франківськ, 2016. – 40 с. 17. Petrenko V. Intellectualization Management of Intellectual Resources - Urgent Need of Modern Society / V. Petrenko // World Scientific News. – 2016. – № 57. – P. 674-679. 18. Петренко В. Концепція інтелектокористування як основа новітньої управлінської парадигми / В. Петренко // Міжнародний бізнес та менеджмент: проблеми та перспективи в умовах глобалізації: міжнар. наук.-практ. конф. 22-24 жовтн., 2008 р. : тези доповід. – Тернопіль: Вид-во ТНЕУ, 2008. – С. 365-367. 19. Ревтюк Є. А. Концепція планування людських ресурсів крізь призму теорії управління людським капіталом / Є. А. Ревтюк // Вісник Хмельницького національного університету. Економічні науки. – 2015. – № 2 (2). – С. 280-284. 20. Данилюк-Черних І. М., Петренко В. П. Управління використанням інтелектуального потенціалу людських ресурсів підприємств на засадах сінтелектики і синергізму / Регіональна економіка. – №1. – 2011. – С. 148 – 155.